I hope you’ll indulge me for a bit here. Robin Williams is dead, and all our lives will be a little poorer for it. Particularly those of us in the comedy community. I am a child of the 70’s . There are three comics who set me on a path to doing standup and improv comedy. Bill Murray’s film critic on SNL was an early influence in my writing style and my understanding of the mechanics of character based comedy. Steve Martin taught me the syntax of standup, and showed me that comedy can be stupid and brilliant at the same time. And then there was Robin Williams. His frantic energy and rapid fire brain showed the pure adrenalin fueled side of performance and improv that few have ever or could ever match. Martin’s 1977 Let’s Get Small and Williams’ Reality…What a Concept a couple of years later were among the first albums I ever owned. And I listened to both endlessly. And, though I didn’t realize it at the time, all three of these guys proved to be so much more than comedians. All proved themselves to be brilliant actors – serious and comedic- and all showed great depth in their various work. Sure, I’d later come to appreciate the brilliance of George Carlin and the importance of Richard Pryor. But in the mid to late 70’s Bill, Steve and Robin planted the seeds in my head that would eventually lead me to perform. I can’t even guess how many times I saw Robin Williams’ various stand up specials on HBO. The man was a force of nature. The jokes and characters and voices were rapid fire (maybe fueled by a little more than brain power at times). And the act was more than jokes. It had heart and soul. He proved himself to have the capacity to truly act. Not just be silly on camera, but to open himself up and serve raw emotion, humor and wit. No, not all his movies were good. But when they were, they were amazing. 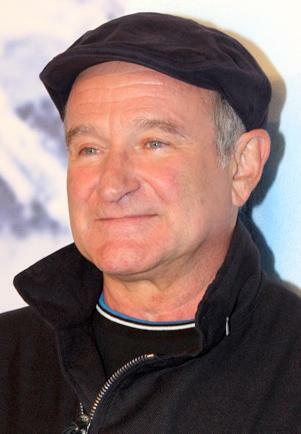 Robin Williams faced his demons over the years. Sometimes he’d beat them down for a while. Ultimately, they won. The shameful question here is could Robin Williams have been Robin Williams if he hadn’t had that darkness within him? Could he have bared his soul on stage and screen without that thing inside him that ultimately killed him? Comedians are often damaged people. It’s a cliché to say it, but that doesn’t mean it’s not true. Performers in general, and comedians specifically, all to varying degrees have some demon they are trying to feed or keep at bay. Performance as therapy is pretty common. Unfortunately, a lot of performers also choose to medicate themselves to stave off whatever it is that eats at them. Drugs and alcohol are the all too common medications of choice. And they take their toll. Society, and even comics themselves, forget how important their work is. Those of us who can get up on stage and make people really, truly laugh are working magic of a sort. I have had many people over the years personally thank me after an improv show because they had gotten through a terrible day and “just needed to laugh”. It’s not a rare message. Do you comics understand how important that is? Do you understand that you really are honest to goodness HELPING people when you perform. The ability to ease peoples’ burdens, even if it’s for a few minutes is a gift. Take it seriously and own the fact that you are doing some good out there. There’s a wonderful thing about comedy. Stand ups and improvisers are part of extended families of fellow performers. Dysfunctional families at times, to be sure. We fight. We talk bad about each other. We take vicious shots at each other constantly. We all think we are better than the next performer. But, when it comes down to it , we actually do tend to care about each other. Comics, use your family to help deal with the monsters. Watch each others’ backs. Turn to each other just to freaking talk when you need to. You probably aren’t going to slay anyone’s dragons, but maybe you can help them do it. Comics, just know that there’s a real good chance that you have a group of fellow performers who actually give a damn about you. Use that to help yourselves tread water. Robin Williams was a giant. A flawed giant, to be sure, but he gave a lot to all of us. Comics who grew up in the 70’s-90’s would cite him as an important influence. Even if the sadness behind the comedy was obviously intense. Comics, keep the magic and your fellow performers alive. You are all too important to this world to do otherwise.